Aside from using “Head Banger” in The Flare last year, there was zero foreshadowing of Lakai’s upcoming EPMD collaboration. While Erick Sermon and Parrish Smith may not be the first rap group that you think of when connecting music to skateboarding, they do have 15 solid video hits on skatevideosite.com‘s song search, many of them classics. The duo’s first appearance in Underworld Element’s Skypager  is enough to cement their legacy in skating. No word on an official release date for this as of yet. But we’re excited about it none-the-less. Have a look at the Instagram tease below. UPDATE 12.17.18: This collaboration wouldn’t be complete without a skate edit set to an EMPD track. Griffin Gass handles business (pun intended) to “I’m Housin'” off Strictly Business below. UPDATE 12.10.18: EPMD is hosting a release party in Los Angeles for its new Lakai collaboration on Wednesday. Check out the details and additional product images below. 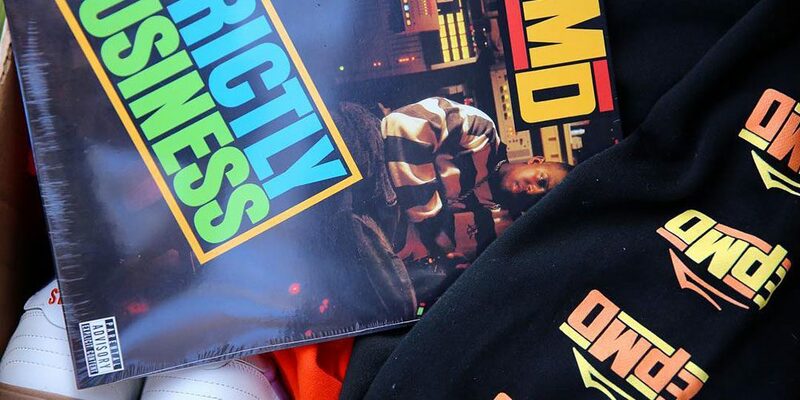 UPDATE 12.04.18: The below closer look at Lakai’s upcoming EPMD collaboration highlights the fact that it’s centered around the Strictly Business album from 1988, which makes it an instant classic in our book. We’ll continue to update as more details emerge.